Carbon Poker employ the strictest anti-hacking security standards so you can deposit and withdraw your money with absolute confidence. 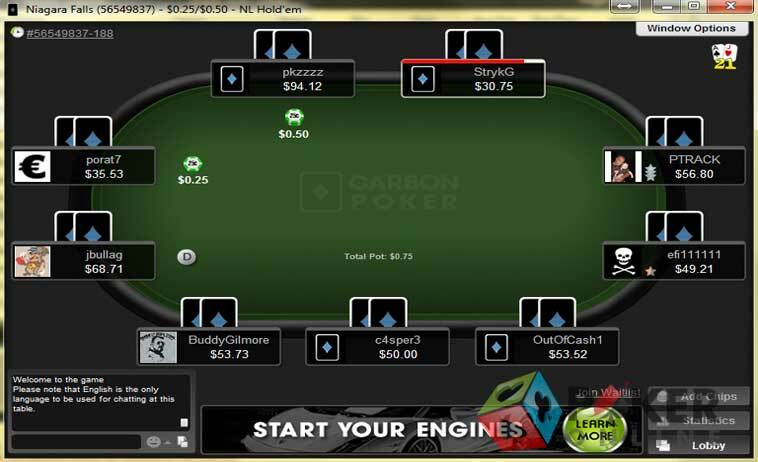 Carbon Poker is one of the reliable online poker sites on the internet and is known to enjoy a good stream of poker player traffic. 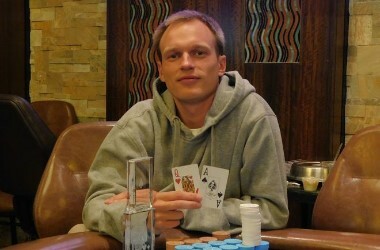 The site has average customer service and offers a good range of poker games for its players. The site has exciting bonuses and promotions to keep players interested. New players to the Carbon Poker site will be excited to note that they will be eligible for a 100% match bonus on their first deposit. What’s more, unlike many other poker rooms that only allow players to use the bonus money to play games, the Carbon Poker welcome bonus is in cash up to a sum of $600. The minimum deposit sum for the welcome bonus is $10 and players will have to collect VIP points to clear their bonus. In addition to the first deposit bonus, players will also receive a free entry into the New Depositor Freeroll worth $500; this is a daily freeroll offered by the Carbon Poker site and new players will get 4 free tickets for 4 events. Poker players can get access to the best of online poker games and poker tourneys at this site; this poker site has plenty of games such as Texas Holdem, 5 Card Draw, Ace to 5 Lowball, 7 Card Stud, H.O.R.S.E., Omaha, Deuce To 7 Lowball, Omaha Hi Lo, Caribbean Stud, Razz, Badugi, 7 Card Stud Hi Lo and 5 Card Stud. In addition to these games, the Carbon Poker site also has a section of side games for those players looking for a little variety such as Blackjack, Euchre, Roulette, Backgammon and Video Poker. 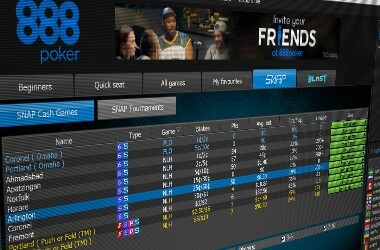 Carbon Poker has one of the most unique and interesting loyalty programs and VIP sets ups for its players. This poker room caters to both experienced and amateur poker players, offering them rewards and bonuses based on how many points they collect. Carbon Poker has 6 VIP levels for its players; these poker levels are based on the natural elements and begin with Earth, moving on to Wind and Fire. The 4th level is Water and the next two levels are Ether and Ether plus. Players will have to earn a minimum pf 250 points per month to be eligible for the Earth level, while 750 points will get a player Wind status. Players who get 3000 points will move to the next level of Fire and then to Water with 10000 and 25000 with Ether. Only players who get 150000 points and more will be eligible for Ether Plus. 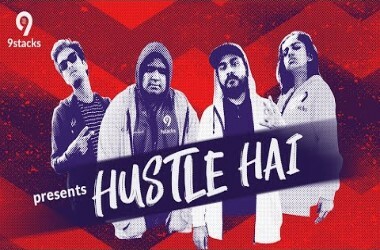 Players will get special bonuses, cashback offers, new promotions and entry to freerolls and poker coaching assistance depending on the VIP level that they are at. 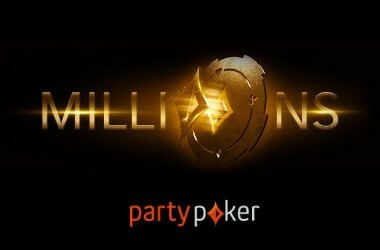 The Carbon Poker site even has a VIP Rewards Store where players can use the points that they have won or collected to buy anything they like from the store. Players looking to play for real money will first have to make a deposit at the poker site, which they can do by selecting the “Deposit” option. They will then have to make a financial transaction using one of the following poker payment methods acceptable in the region which can be done by visiting the Player Admin cashier. Carbon Poker allows players to make payments using Credit Cards or Debit Cards like Visa, Web Money, MasterCard, Moneybookers, NETELLER, Click2Pay and EcoCard. What’s more, poker players who use Neteller to make their first deposit will also get a 10% instant bonus as a reward from the Carbon Poker room. Poker players will be allowed to make deposits ranging from $10 and more, while the least that they can withdraw from the site is $25. The Carbon Poker room will take a reasonable amount of time to process withdrawals and this time differs from region to region. 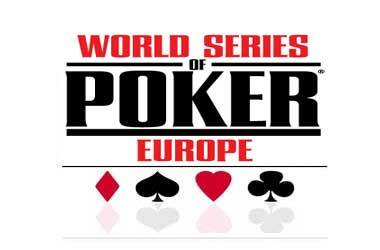 Poker players with queries and in need of assistance will only have to contact the customer support service at the site. The support is 24 hours a day, 7 days a week and is available via email and players can write to the site using this address: support@carbonpoker.ag. Poker players who have queries regarding their deposits or withdrawals and other financial related queries will have to email: carbonsupport@carbonpoker.ag. The poker room does not offer live chat or support via telephone and usually the customer support staff takes around 2 days to respond to your query. 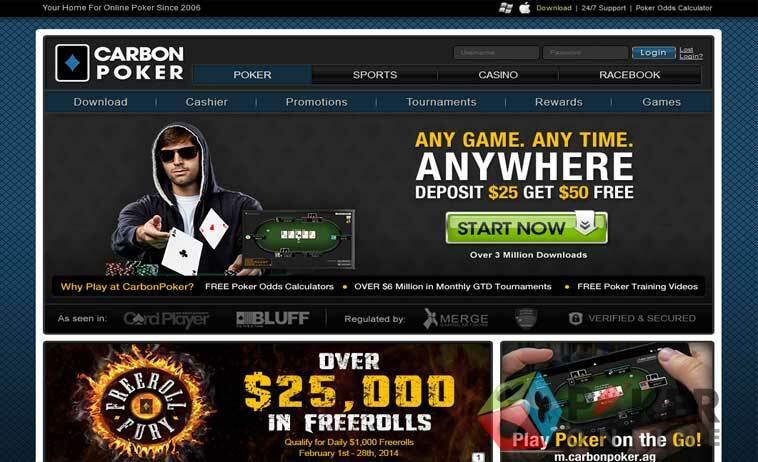 The Carbon Poker site also has an FAQ section with answers to most queries.